Back in 2015 we already had a lot of construction fun with Poly Bridge, which proved to be a great construction puzzle game, with a lot of wacky ways to finish a level. The game was still in Early Access when we reviewed it, but it already had the makings of becoming a great game. 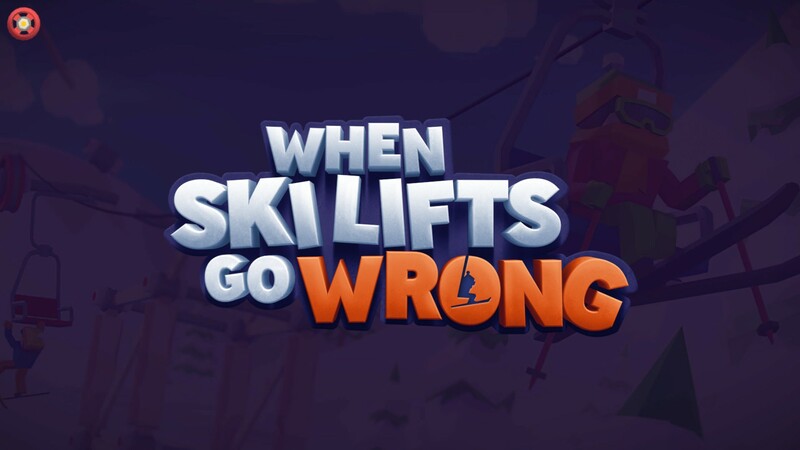 Now we get to play a similar game with When Ski Lifts Go Wrong, which is pretty much the same concept, but now you’ll have to build ski lifts and ramps for your skiers and snowboarders. While the game feels the same, it had a few original mechanics that make it more unique, but we can’t say all of them are for the best. There is no story to be found in When Ski Lifts Go Wrong, as you’ll simply go from one level to another, to solve the problem at hand. 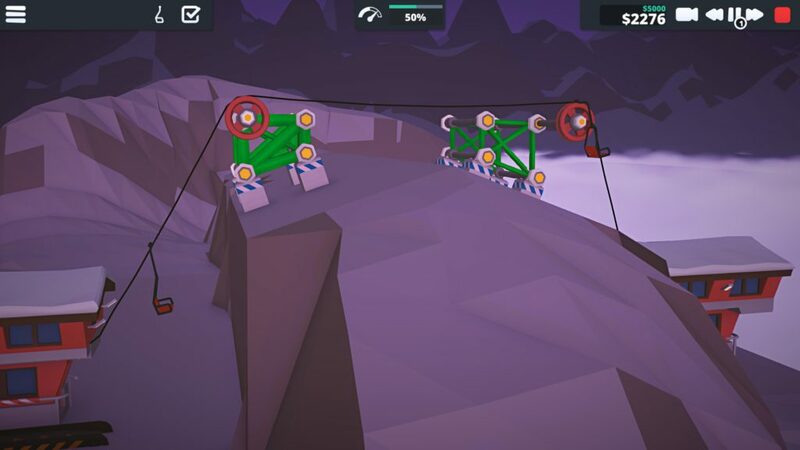 You’ll either build a ski lift or a ramp, and that’s perfectly fine for a game such as this. While a plot could have been funny, it would be very unnecessary. In Poly Bridge there was a very distinct graphical style for the building sequence and the other ‘poly’ style for when you were actually testing your structures. In When Ski Lifts Go Wrong, you’ll also have a grid overlay when you’re still building your structure(s) and a more 2D view, but other than that, the graphical style complements the 3D style when you actually go into the simulation mode. The game looks a bit simplistic, just like Poly Bridge, with bright colors and somewhat simple character and building models. The style suits the game perfectly and it’s actually quite pleasant to see what the game has to offer, even if it only has somewhat limited content. The music in the game will remind you of old school Tycoon games, such as Transport Tycoon, where the music is somewhat reminiscent of lobby or elevator music. While this may not sound too positive, the music doesn’t get annoying and stays in the background more than enough for you to properly focus on the task at hand, namely getting all your vacation goers to their destination safely. Whatever happens after they get out of the ski lift isn’t your responsibility anymore. 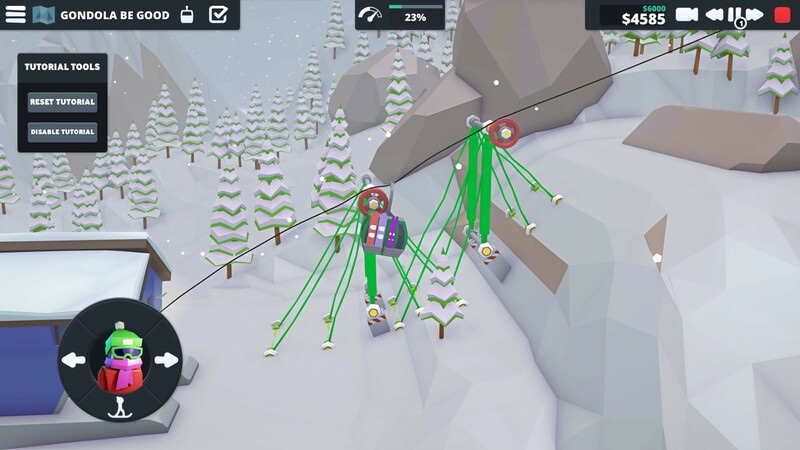 When Ski Lifts Go Wrong is a challenging puzzle game in which you’ll have to build ski lifts or ramps, but also have to guide skiers and other winter fanatics to safety. The latter might be the least pleasant aspect of the game, which we’ll discuss later. Most of the time you’ll be spending in the planning screen, where you’ll start your construction work, and retouch wherever needed if your simulation tends to end in a failure. The mechanics are simple, and you only have a handful of building materials to work with. The lack of diversity is not really an issue as many levels present you with adequate challenges for your limited building supplies. The game differentiates things by adding three different lifts to the mix. You’ll have to think about how each lift works, how much they weigh, or for some lifts you’ll have to keep in mind that the people can’t be lifted in the air, as they are simply holding on with their hands. This creates a few fun mechanics and also adds a certain difficulty to the game which is certainly worth appreciating. This concept feels original and makes the game less stale. Unlike the parts in which you have to control a character to ski down a slope that feel a bit less developed. In some other levels you’ll just have to create ramps, which feels a bit out of place for this game. The portions where you have to control a skier or those on a snowmobile etc, are somewhat tedious. You’ll have to time your jumps, and balance out the skier or the vehicle, making sure you pass the finish line in one piece. It feels like this was added to the game to add something extra or special, to make it more than a simple construction game, but this is actually what makes the game a bit less fun and sometimes just annoying. 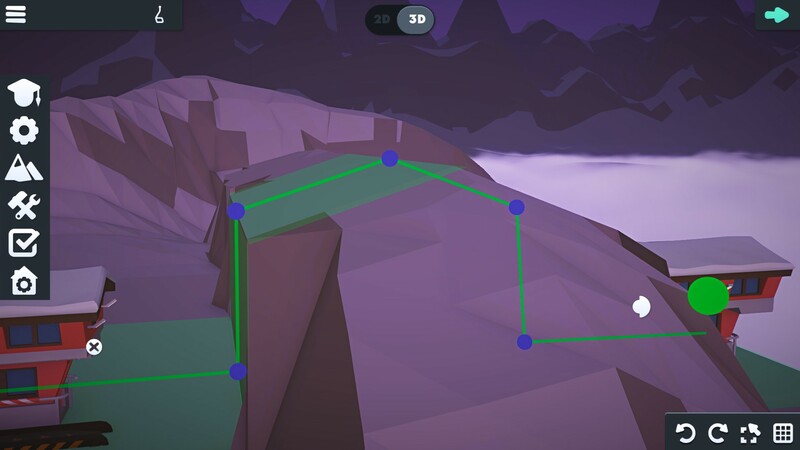 If you’re done with the content the base game offers you, you can also start designing your own courses and obstacles and allow other players to play them. You can also play the level designs of other players, which creates an endless amount of content. 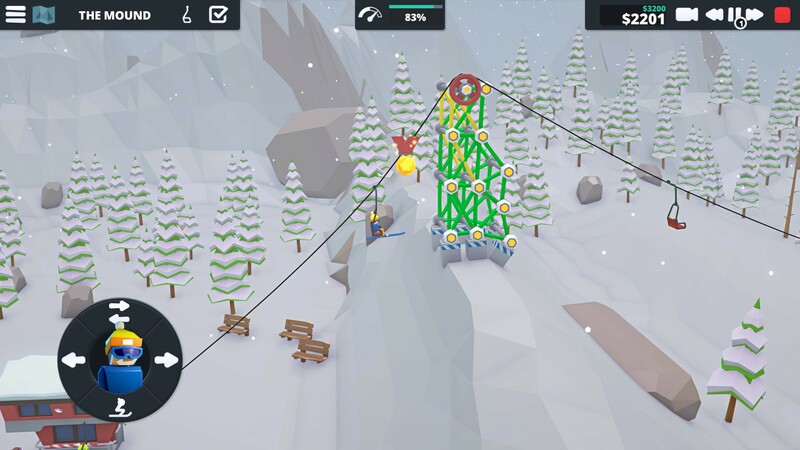 When Ski Lifts Go Wrong is an amusing puzzle game that certainly has a lot of content making sure you’ll have hours of fun constructing and testing the oddities you build. While the levels in which you have to control skiers or your vehicles are somewhat of a letdown, the building and simulation aspects of the lifts are more than enough fun to make this a great experience. If you like games such as Poly Bridge, and you also like a challenge, then this game might just earn a spot in your Steam library.